AKIPRESS.COM - Syrian government forces advanced through southwestern Syria on Tuesday as tens of thousands of civilians fled ­Syrian and Russian airstrikes, ­piling onto trucks and heading deeper into rebel-held territory. With violence escalating, diplomats and experts warn that the pocket could become a geopolitical tinderbox capable of destabilizing neighboring Jordan and triggering a wider conflict between Israel and Iran, Washington Post reported. A cease-fire agreement between the United States, Russia and Jordan had largely kept the peace for months while the Syrian army focused on rebel-held regions closer to the capital, Damascus. But with those conquered, Syrian President Bashar al-Assad’s forces have turned their attention to Syria’s southwest, with help in recent days from Russian airstrikes. 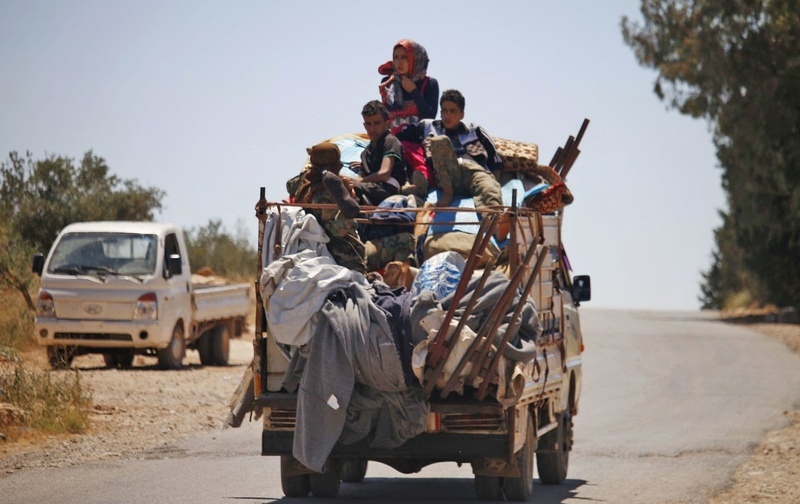 On Tuesday, the Britain-based Syrian Observatory for Human Rights said that forces loyal to Assad had taken control of the town of Busra al-Harir and the nearby Lajat area, prompting an exodus of families and cutting the rebels’ stronghold in half.